The Smart Bed has a unique "one touch closure" design feature, making the bed simple to restore to the seated position. 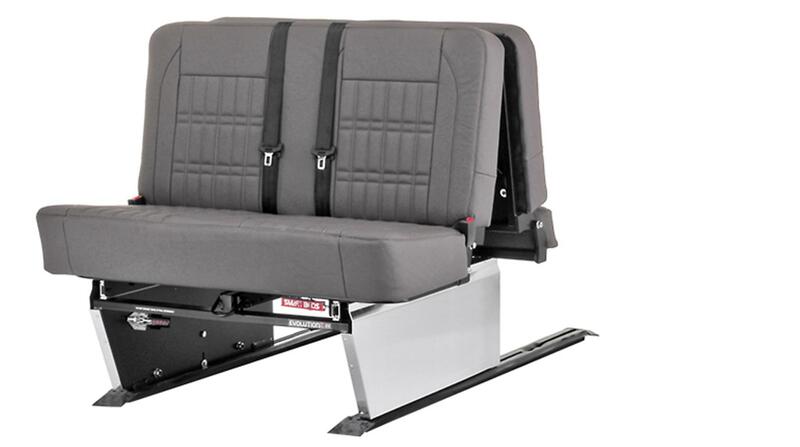 It has been designed to take up the minimum space possible in the rear of the van, and incorporates seat belt mounts in the recommended position for maximum safety. 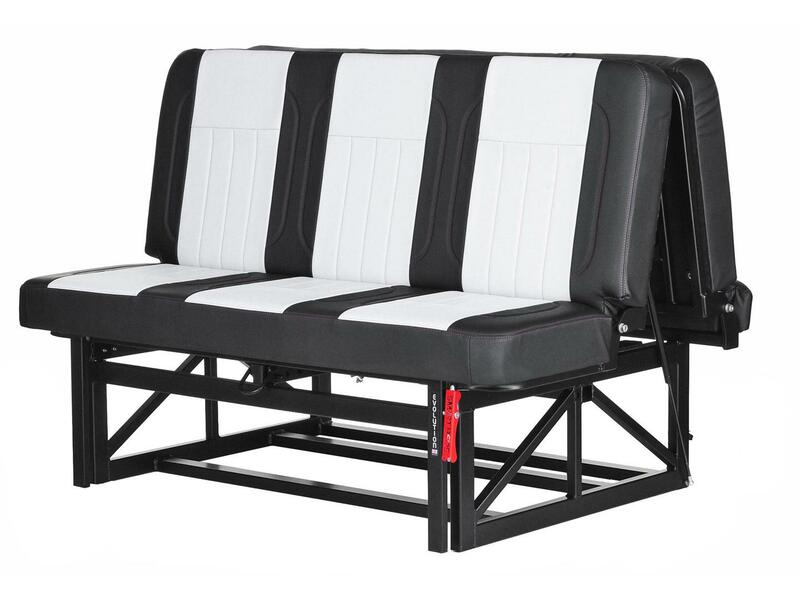 The beds runs smoothly on high quality Accuride sliders which are 10,000 repetition tested and incorporates a recline function for maximum comfort. It is constructed from high quality steel, and is fully MIG welded for maximum strength and durability. The frame is fully powder coated not painted for a high quality finish offering increased durability over paint, and has smooth aesthetically formed contoured corners eliminating the sharp and ugly traditional square corners. The Full Width Evolution is a 3 seat version of our very popular Smart Bed Evolution. It has been pull tested to 76/115/EEC/2005 M1. It features the same revolutionary ease of operation mechanism and reclining as all of our beds. These systems were developed by SMART and although emulated by others they have never been bettered. The bed went through a pull in excess of 10 tons during the test and passed with flying colours. Prices do not include carriage or fitting. SMART BED's are proud to launch their second generation of their very popular Evolution bed, the Smartbed Evolution 2. This is 3/4 width pull tested bed to 76/115/EEC/2005, with "ease of use" operating system and innovative reclining mechanism as standard. The new Smart Bed Evolution 2 not only has the same ease of use operation as the original but also now has a reclining system to increase passenger comfort. This new innovation was a result of our customer driven development programme, which ensures that we stay at the forefront of rock and roll bed design. The Smartbed Evolution 2 features new uprated slides so no more front support legs. This allows even greater access to the generous under bed storage space. 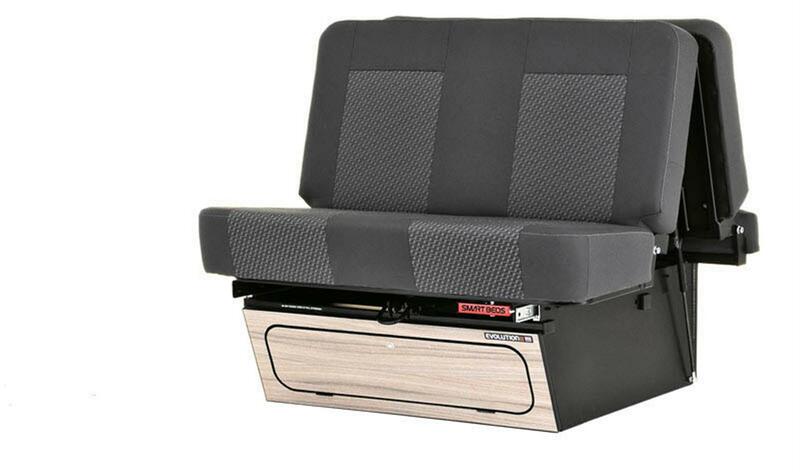 It also features our new “Evolux” upholstery for improved seating and sleeping comfort. SMART pride themselves on high quality construction, safety and innovative design, which has been the key to the ever growing Smartbeds popularity. After a two year research and development programme, SMART are proud to announce the launch of their new Smartbed Evolution R rail bed system. Driven by customer feedback we undertook the challenge to design our very own bed on rails. Competitively priced and still packed with all the great features, quality and ease of use you’ve come to expect from the Smartbeds range of beds including our new “Evolux” upholstery for improved seating and sleeping comfort. Roll and lock in the forward position and your passengers are close to the cab also allowing for ample boot space. Roll and lock to the rear when camping for maximum living area. Smart, Stylish, Easy to use and above all safe the Smartbed Evolution R is the seating and sleeping system your conversion has been waiting for. Don’t settle for less, insist on the best. 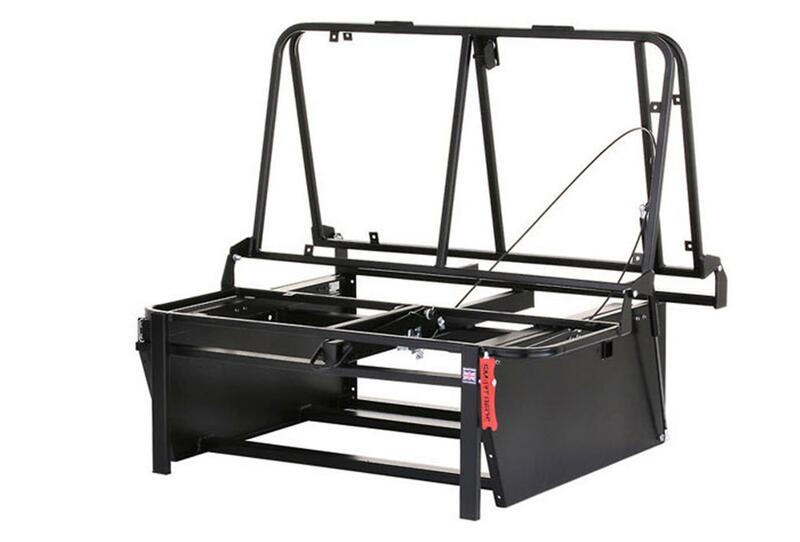 Evolution R frame includes the rail system within purchase price. 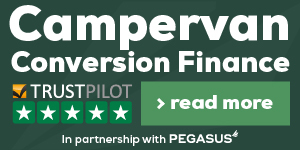 Speak to our partners at Pegasus Finance if you want to Finance your RIB bed.